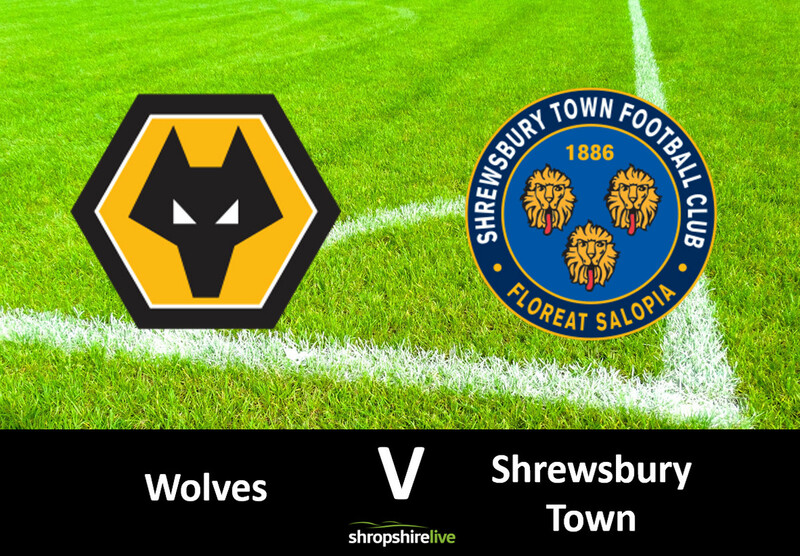 Shrewsbury Town produced a valiant performance against Premier League Wolves but couldn’t conjure another cup shock. Town fans have every right to be proud of their side who gave in-form Wolves a real fright despite being severely depleted in terms of personnel. Shrewsbury were temporarily ahead in this replay, as James Bolton and Josh Laurent cancelled out Matt Doherty’s opener. The latter ensured Wolves went into half time level. And Portuguese winger Ivan Cavaleiro netted to see Wolves squeeze into the 5th round of the FA Cup. Sam Ricketts made a number of enforced changes for this tie. Dave Edwards returned to the bench after recovering from a groin injury. Shrewsbury were facing an uphill task with less than two minutes on the clock. Town were unable to clear Morgan Gibbs-White’s corner, and the ball fell kindly to Matt Doherty. The Irishman slammed home to give Wolves an early lead. There would have been fears the floodgates could start to open; but Shrewsbury stunned their opponents by equalising in the ninth minute. Ollie Norburn’s whipped corner was met by full-back James Bolton, and he rose highest to power a header beyond John Ruddy. Nuno Espirito Santo’s side moved up a gear. Adama Traore’s lightning speed had Ryan Haynes in a daze. He crossed for Spaniard Jonny, whose drive was expertly blocked. The home side continued to pose a significant threat with their pace out wide; but Shrewsbury stood up to the task. Set-pieces were proving a difficulty for Town to defend, as they continuously let their markers roam free. French defender Willy Boly should have scored from a corner, whilst Moroccan Romain Saiss was unable to profit from another delightful delivery. Wolves’ failure to convert their chances came back to haunt them when Shrewsbury sent their fans into ecstasy. Josh Laurent seemingly had nothing on, but his audacious long-range shot was fumbled by John Ruddy before fortuitously finding the back of the net. However, a goalkeeping error at the other end meant that the two teams would go in level at the break. Jonny’s cross was dropped by Steve Arnold, and Matt Doherty was on hand to apply a simple finish. Wolves dominated possession in the second half, but carried little threat in an attacking sense. It was clear that Sam Ricketts had his side well drilled, with Shrewsbury maintaining their focus and concentration to keep Wolves at bay. That was until the 62nd minute, when sheer brilliance from Ivan Cavaleiro subsequently gave the home side passage to the next round. The former Deportivo loanee shrugged off the attentions of Ryan Haynes and produced magnificent skill to advance into the box. He fired beyond Steve Arnold, much to the relief of the capacity crowd. Substitute Raul Jimenez came close to sealing the win, but his effort was denied by the reflexes of Steve Arnold. Shrewsbury certainly didn’t go down without a fight. Omar Beckles’ marauding run resulted in a shot that narrowly crept past the post. Town’s perseverance was not rewarded but four goals in two games against a side competing for a European place is not bad going. Shrewsbury face a key clash away to Bristol Rovers on Saturday, whilst Wolves are at home to Newcastle United.